A 1m chassis lead to connect the hand control to the motor speed controller and the optional horn relay board. The CLM-806 is an 8 pin chassis mounting DIN socket designed to mate with our hand control box [RBT-810]. 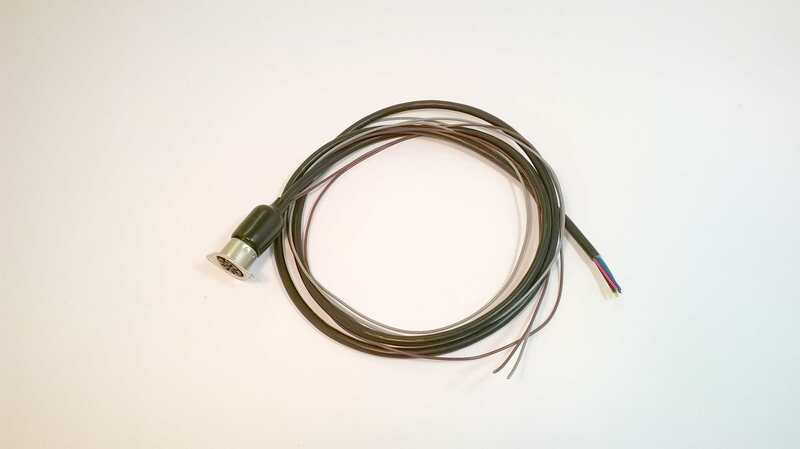 It has 1m of 6 core cable to connect to the 6 way IDC connector supplied with the DNO, Pro-120 / 150, 4QD series and other controllers. It also has two loose wires for connection to our horn relay board. The CLM-806 is supplied with the appropriate IDC connector but this is not fitted as standard. This is to allow the hole for the cable to be smaller.